Leading British manufacturer Ideal Commercial Boilers has supplied 20 Evomax 150kW wall-hung commercial condensing boilers and five Frame and Header kits to Southampton City Council, which have been installed as part of a £14m investment to improve energy efficiency in five residential tower blocks at International Way, Weston. Not only did the Evomax boilers meet challenging installation criteria, their exceptionally high efficiencies and advanced control systems will help the council achieve an annual reduction in energy use of up to 50%. In addition, they have contributed towards a BREEAM Excellent rating that was necessary to make the project eligible for funding through Ofgem’s Community Energy Saving Programme (CESP). 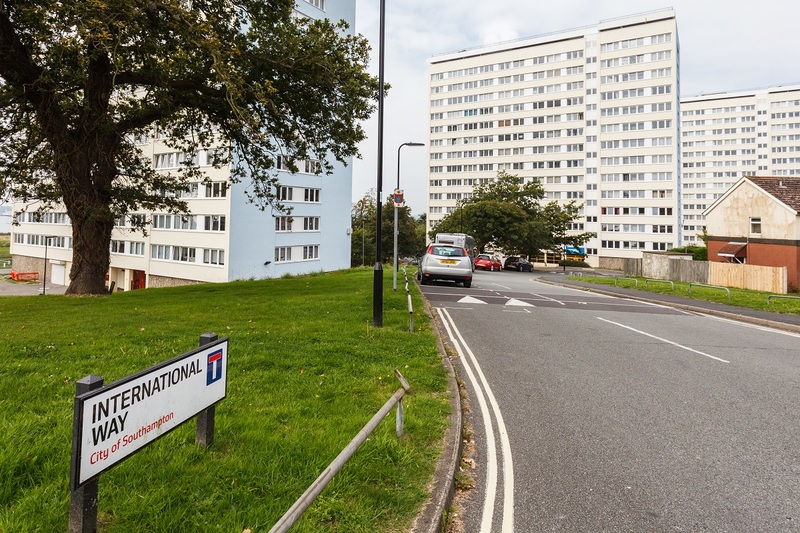 The previous heating system in each of the five residential blocks at International Way consisted of electric underfloor heating, which was both inefficient and expensive to run. There was already an existing gas supply to the buildings, however a plant room needed to be constructed within each block to accommodate the Evomax boilers and other appliances. The decision was made to refurbish the old drying deck, located at the very top of each building just below the roof, as this was previously a wasted space and offered the capacity required, albeit with space constraints. The requirement for compact easy-to-install boilers was then critical, as the appliances not only had to be installed in a confined plant room space, they also needed to be transported to the very top of each 13-storey block via the lifts without overloading them or causing damage. 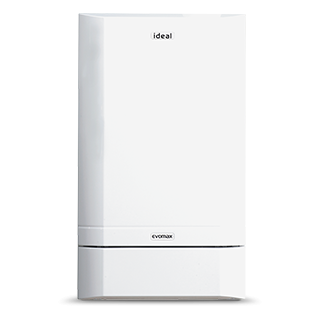 Four Evomax 150kW boilers from Ideal Commercial Boilers were specified for each residential building as they fit the criteria for being light and compact whilst offering exceptionally high efficiencies and were able to achieve the required output when installed in cascade. The boilers were installed in each of the residential blocks in five separate phases to minimise disruption for the tenants and Ideal Commercial Boilers’ Frame and Header kits were also selected to further reduce the time and cost of building works. The heating and hot water for each residence is distributed throughout the building via pipework that drops down through the block and feeds each flat through an individual Heat Interface Unit (HIU). This allows each resident to control their usage, ensuring they only pay for the heating and hot water they actually use. In order to ensure engineers would be familiar with the control system, Ideal Commercial Boilers also conducted an in-depth training session on the Evomax boilers and the modulating sequencer kits with the council’s team of engineers. The session took place on-site and consisted of a theory session, during which trainees could practice on an actual controller, before they were taken up to the plant room where they could apply what they had learnt to the existing system. The Evomax boilers were installed by Southampton City Council in partnership with British Gas as part of Ofgem’s Community Energy Saving Programme (CESP), which was launched in 2009 as part of the government’s Home Energy Saving Programme. This scheme targets households across Great Britain, in areas of low income, to improve energy efficiency standards and reduce fuel bills. It uses a ‘whole house’ approach, matching energy efficiency measures with each unique property in order to best service individual needs. 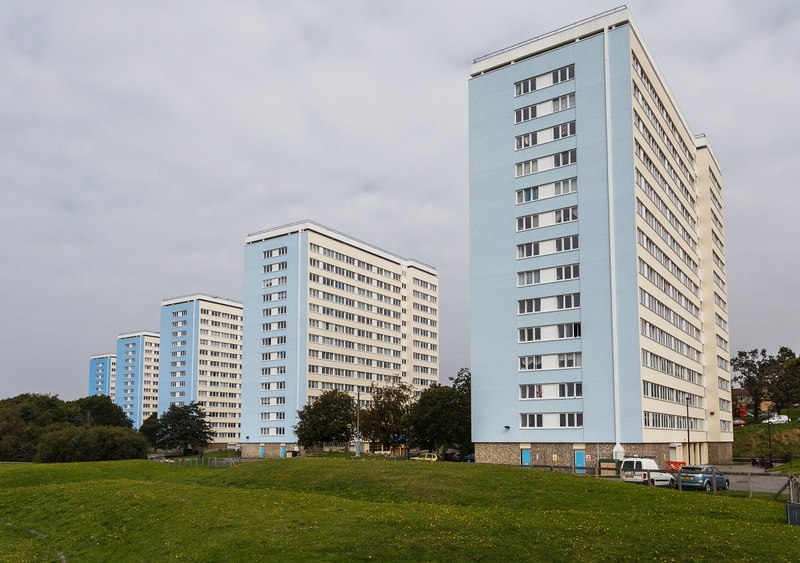 In the case of International Way, the refurbishment works also included the installation of photovoltaic panels to generate electricity for the communal areas within each building, the replacement of windows with double glazed alternatives and External Wall Insulation (EWI) systems. 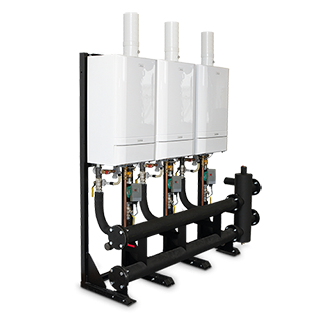 Designed for ease of installation, commissioning and servicing, Ideal Commercial Boilers’ Evomax range expands the options for commercial buildings with one of the largest output ranges consisting of seven models from 30kW to 150kW. In addition to its lightweight design, supported through quality build and aesthetics, siting is made easy with a selection of room-sealed and open flue system choices. The option of insulated Frame and Header Kits allow the Evomax to be installed in cascade formation, either back-to-back or in-line depending on the requirements of the plantroom, with a combined top capacity of 600kW. Even more flexibility is provided with the option of Low Height Frame and Header Kits, which ensure installation of the Evomax is made simpler in instances where there is reduced headroom or inconvenient sloping ceilings.